2 lifelong gamers and a lot of laughs. Always up to date with the latest gaming news, covering consoles and PC. Original thoughts and opinions, not just news reporting. George & Cemil, discuss Crunch time in the gaming industry. It's forced, overtime that is the result of poor management to meet a deadline. Episode 33: Can we trust Ubisoft with Assassins Creed? With Assassins Creed: Odyssey coming out, it's time to ask the question on everyone's mind...can we trust Ubisoft with the series? Also, some food for thought discussion in regards to the game engine they use. Nintendo came out with its online service (paid addition). There is a lot to say about this. Buckle up! Episode 31: Mega Man X on Switch, Cyberpunk 2077 and YouTube? Something is fishy about Mega Man X on Switch. CyberPunk 2077 is looking great and what SILLY thing did George do on YouTube? The boys get HYPED for SPIDER MAN and get hyped for the return of CAPCOM to glory. Episode 29: Gaming Expectations in 2018 and YouTube Chanel launch! Episode 27: Toxic players getting banned & why was the 90's a better time for gaming? Episode 26: Ep 26 - Microsoft's 2018 E3 - Seems they are starting to get it? This years E3 was a great one and Microsoft brought their "A" game with them. The hosts of Gaming My Whole life have a lot to say about what was shown, discussed and more. Just Cause 4 developers, avalanche studios, are making Rage 2 and is cause for excitement!! George and Cemil, share their excited thoughts. Episode 22: Ep 22: GMHL - 2 Pokemon games coming to Switch and Assassins Creed in ancient Greece. E3 leaks! You may want to stop buying launch titles & is it too easy to ignore great games? 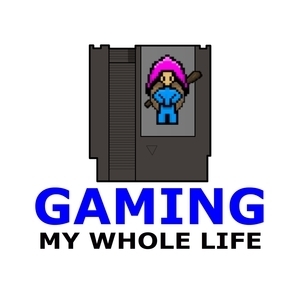 australian gaming podcast, australian nintendo podcast, australian podcast, don't preorder games, games broken on launch, gaming my whole life, nintendo podcast, should you buy more than one game console? Pre-ordering that next massive game might actually be a huge mistake and are there amazing games right under your nose, that your going "Meh" to? Hint - I'm not talking about a hidden indie titles but the big ones you know by name. Episode 20: Rage 2 and Go Vacation, the 2 games we didn't know we want but do! Rage 2 is developed by the team who made Just Cause 3? WTF?? Also, let's discuss HYPE. Does it ruin games by letting us down after?